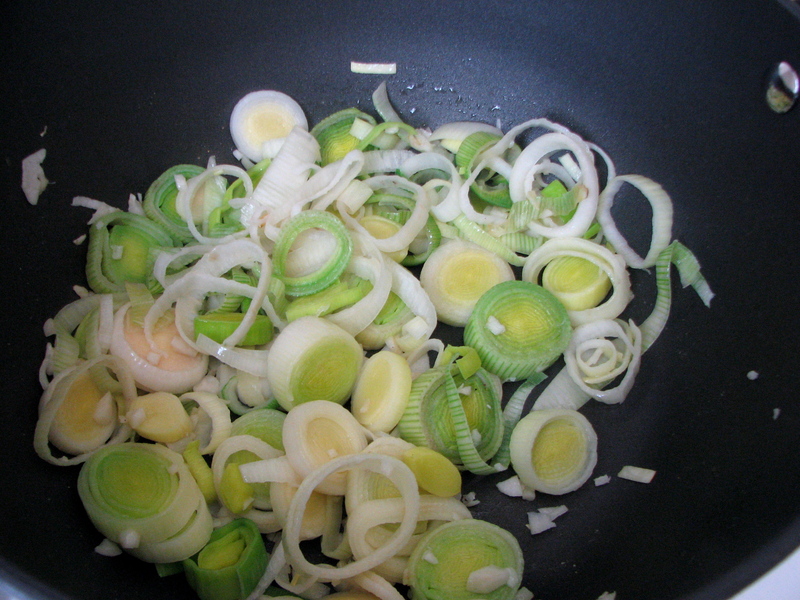 In a large pot, sautée the leeks and garlic in a few tablespoons of olive oil over low heat. 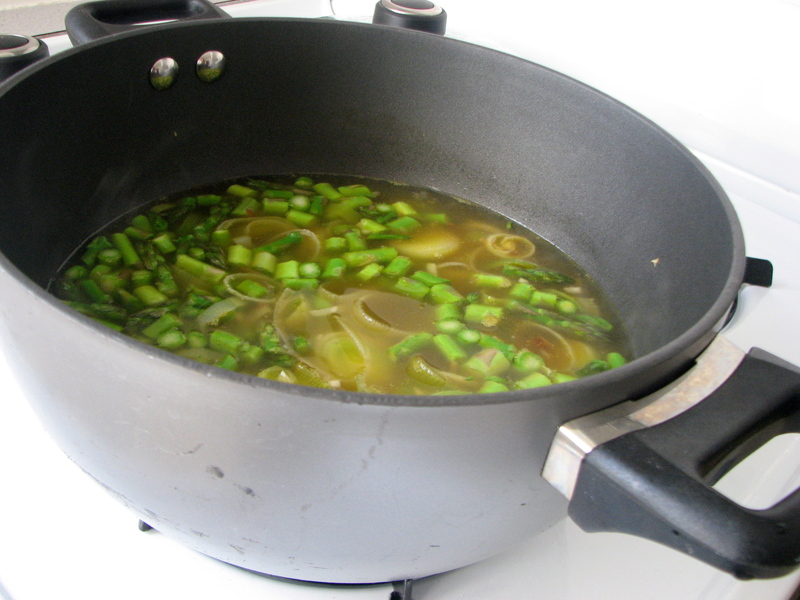 When they are beginning to soften, add the broth and bring to a boil. Add the asparagus and cook on high heat for a few minutes, then reduce to a simmer. 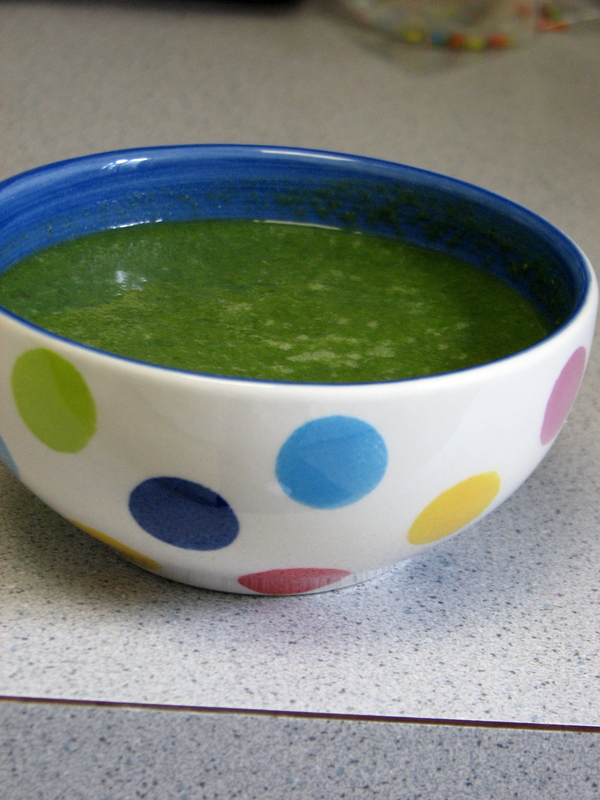 Add the water and spinach, and simmer for about 10 minutes to let the flavors blend. Then pour contents into a blender and puree. Season with salt and pepper, and serve hot. For original recipe, click here.